Little People Speak – Grab a cuppa, tell a story or listen to one. In response to out Writing Prompt#6, “Love Is….”. A young author writes “Love is ….The love for Nutella.” Read her narration, see the picture and drool, drool and drool! Or even better, grab a jar of Nutella! 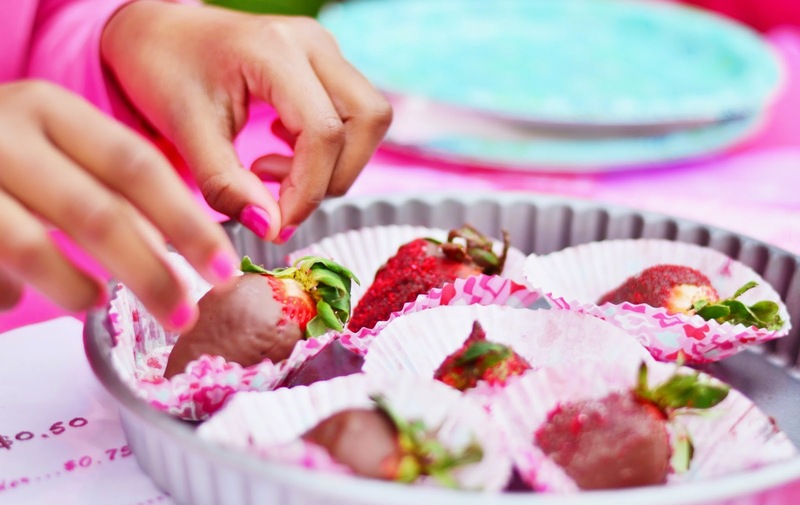 Nutella covered strawberries, dusted with pink sugar. LOVE! Have you ever seen those chocolate commercials where someone bites into a piece of chocolate, and it’s all melted, soft and gooey with strings of chocolate dripping into their mouth; it makes you really want to eat that chocolate and enjoy it as much as the person acting and over exaggerating her or his love for it, how happy she or he becomes after one bite of chocolate? Now, rewind to the beginning of the advertisement and replace the chocolate with a jar of Nutella, and the actor faking her love for some normal old chocolate with yourself. Open the jar and stick your fingers in. Then slowly put it in your mouth, anticipating the wonderful taste of heaven and rainbows and unicorns. When you eat it, be careful not to bite your fingers off, the phalanges are known to be only as strong as carrots. Instead of that actor from the cheesy commercial, you won’t actually be feigning your passion for the wonderful delicacy before you. Your eyes will light up and shine like stars, you won’t be able to process anything that is happening around you, your brain will shut down and go on autopilot; NOTHING can stop you from finishing that jar of Nutella! And nothing will. Not when your idol is standing right there in front of you; it is, and I quote, “everyone’s greatest weakness”. The love for Nutella is so strong, and shared by millions around the world. I was a jar of Nutella for Halloween last year. Does that make it easier to understand the scale of love for Nutella? Join the revolution! Eat as much nutella as you can! Whether plain, on bread, cookies, biscottis, even goldfish(I had it once, it was amazing,especially if you like sweet and salty food! ), it will always take you to magical, wondrous places you could not have normally reached here on Earth. Yesterday, February 5, was world Nutella Day, so spread the message. Stay calm and eat Nutella! 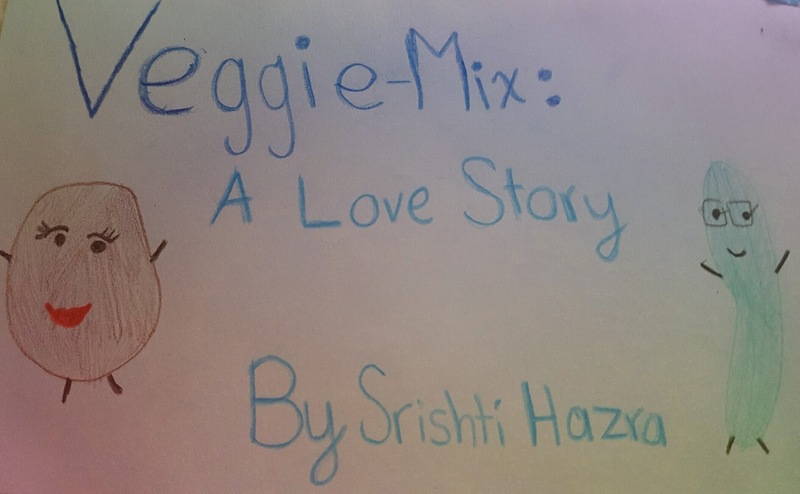 Written By : Srishti H, A Nutella Lover, And An Enthusiast young author. In most schools in Southern California, today is the last day of the summer holidays and a brand new academic year starts from Tuesday. 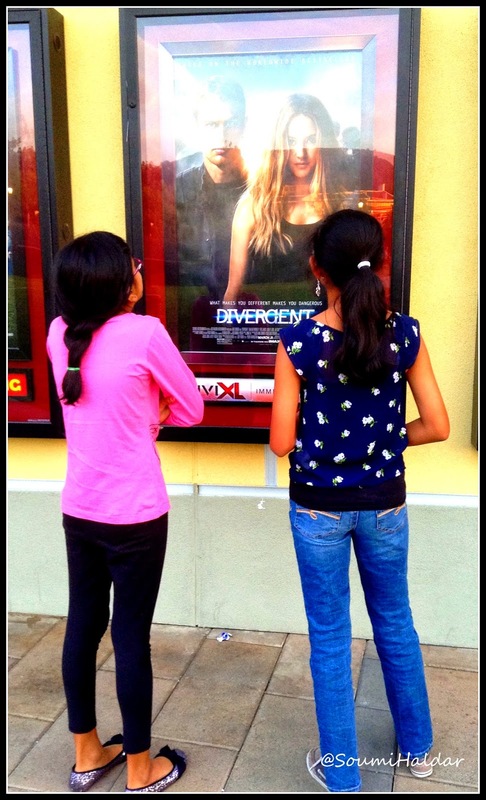 Our avid writer Srishti H has some advice for all the kids going back to school tomorrow! Hey guys! I know most of you are complaining that summer is almost over, and trust me I am too, but, believe it or not, I am also kinda excited for going back to school, I mean new classes, new teachers, new lockers, old friends, new friends, the list could go on and on and on and on… Seventh grade, here I come! Anyways, I was bored and decided to give some back to school tips! 1. For you guys who have a locker and actually use it, spruce it up a bit! It makes it more interesting to look at if you design it and make it come alive! I went to Staples and bought some magnets and post it’s. 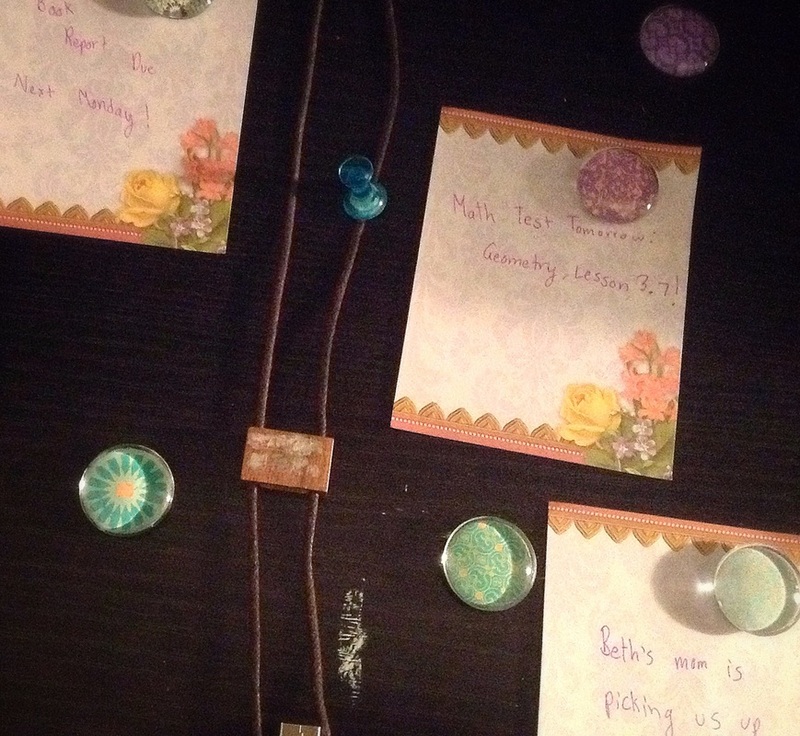 They are really useful for hanging reminders and such! Decorate your locker with pictures, a mirror, whatever you can think of! This isn’t my actual locker, my school hasn’t started yet, but these are some of my magnets and little notes that I would hang up! 2. School Supply shopping is one of my favorite parts of the begining of the new school year! 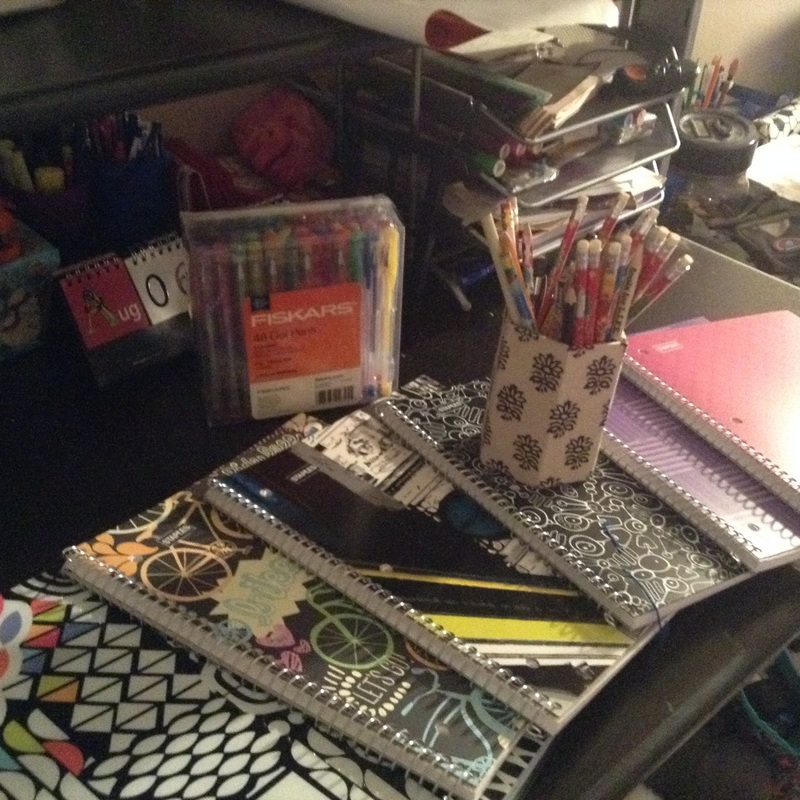 New books, pencils, pens, binders, notebooks, new everything! I just love it all! Choose notebooks that look cool/cute and will last you for a while. Same with pens, pencils, binders, and everything else that you get. Make sure that you like it before you buy it, ‘cuz you are stuck with it for probably the rest of the school year! 3. 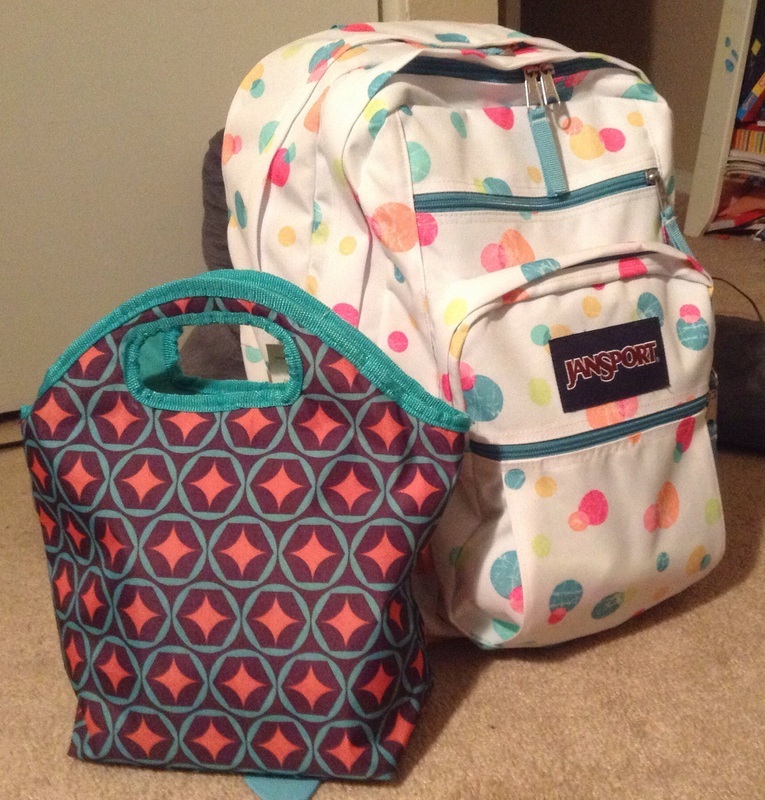 Backpack time! Choose a good, sturdy backpack that you think will last you very long. Put all your supplies in their, and try to keep it organized! I try to organize it at least once a month. My backpack is all ready! Is yours? 4. Anybody see my lunchbox in the picture? Remember, pack a good lunch with a few snacks, or you’ll be quite hungry if you don’t eat anything! I usually eat a snack in between every two or three classes. When do you? All right guys, that’s it for now! In a few days, I should be posting a little something else, maybe about study habits, how to have fun in school when you are bored, etc. This is a Public Service Announcement = P.S.A. Hey there, all you California residents! How’s it going? How’s your summer been? I know that mine has been great! But of course, mainly because of one reason. Water and the pool. This summer so far has been BURNING HOT, I don’t even want to try to imagine the weather in August and September. I can barely stand a day without swimming in the pool. As you know, this is our third year in a drought. And this, by far, has been the driest year. The last time it heavily rained was in 2010. We need to learn to conserve water and all our natural resources. We were driving back from the mall yesterday, and as we passed by a whole block of houses, I could see that all their front lawns were covered with grass and a few of them had some trees. The grass was brown and dead and the young trees did not look that good. I do not want to sound rude but I think we need to realize that we are living in CALIFORNIA! Our water comes from a whole other STATE! We basically live in the middle of a desert! I think we should replace the grass in our lawns with desert/California friendly plants like cactus. They are pretty to look at and barely use any water at all. They can survive for years on end. Looking after the environment eventually ends up in looking out for each other and ourselves. And this isn’t only for us in California, but for each and everyone of us all over the world. Please, let everyone know about this issue, and let’s start helping each other, California and the world! This has been written by a twelve year old who really cares about the environment and all of our futures. Please help her to spread the word! This year was my first year in middle school. I am officially a sixth grader now. The transition from elementary school to middle was a little challenging. We had to move from sitting in one classroom all day to walking across the school and switching classes in five minutes every fifty-two minutes. In elementary school, we had one teacher, who gave us a little bit of homework for each subject. Now, we face five teachers (seven subjects overall) who think that what they teach is the most important subject of all and pile you with hours of homework on end. Also, because we switched schools going from elementary to middle, many friends were lost, but new ones were to be made. At first I was a little frightened, excited, nervous, and happy (all at the same time) at the thought of going to middle school. Honestly, it was a little tough at first when I started, but I easily made new friends, met all of my old ones after summer break, and learned to handle all the homework. Now it seems as if we are barely getting any! But I couldn’t have done this without one very special person. She helped me with every single thing, and I was not and still am not afraid to go to her for help. My MOTHER. She helped me with my homework, working with me for the two, three, four hours of work that I have. However much I procrastinate, she still helps me, working on science projects till two-thirty in the morning, typing up English essays till midnight, studying for next day tests for hours and hours. She shows me creative ways to think and write about in English, cool ways to do my science projects, and easier ways to do my Algebra. She sets up play dates for my friends and I so we could get together. While I was at the science fair recently, she waited outside the auditorium for eight whole hours while my project was being judged. She could have but she did not leave; she just stayed there for me. In person, in spirits. My mother really inspires me because she keeps pushing me forward, so I am always ahead of the game. My mom is creative, cool, fun, awesome, caring, and loving. I hope you know that I love you very much and thank you for every single way and time that you look out for me. I LOVE YOU and I hope you have an amazing day! Moms work so hard in doing what they do. In return all they ever expect is love and acknowledgement from the kids. There are ample times when they feel kids do not comprehend their efforts. But kids do, more than we know. This post is a living proof of that. 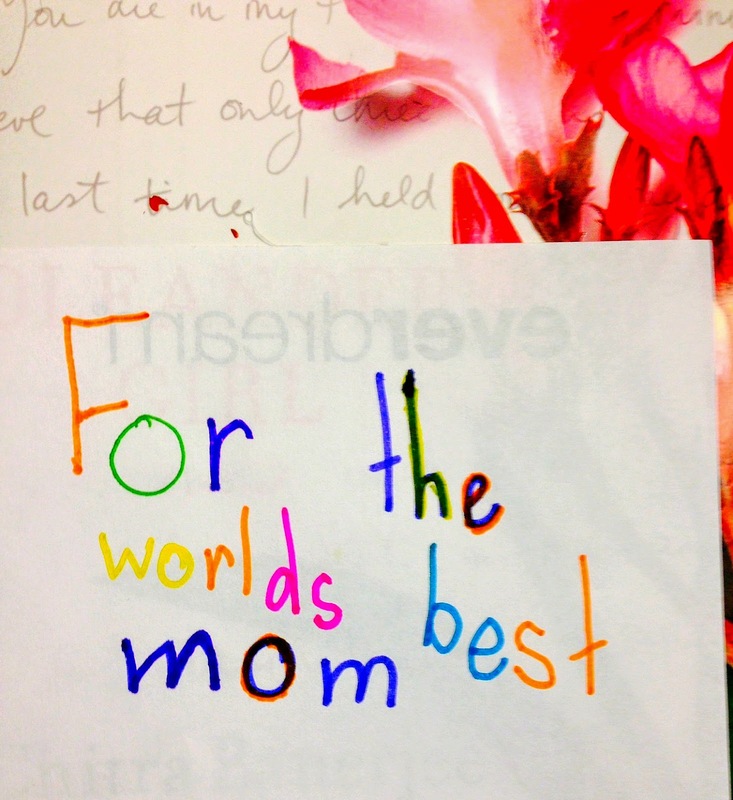 This post is a birthday gift from a daughter to her mom. It is a surprise for the mom, not just the post but perhaps the content of it too. Happy Birthday Mom! We are sure this is something you will treasure forever. According to the video “TheMajestic Plastic Bag“, the plastic bag has a journey that is long and dangerous, but if it is successful, it will reach its destination, the Great Plastic Garbage Patch. The plastic garbage patch is a heap of plastic two times the size of Texas in the middle of the Pacific Ocean. It holds ninety percent of all trash floating in the world’s oceans. It is killing lots of wildlife in the water, choking or starving them until they die. The process of making plastic bags itself is killing us; humans, wildlife, and the planet. If it were up to me, I would stop plastic production altogether. It would help marine, land, and human life to stay alive, and it would allow us humans to continue living on earth because there won’t be plastic everywhere. Abandoning plastic will allow us to continue living on Earth because there won’t be plastic everywhere. The production of plastic is destroying most living things on Earth. The factories that make them are releasing dangerous chemicals such as carbon dioxide. The CO2 is contaminating the air, water, and ground, all items that are vital to living beings. Another chemical produced by plastic producing factories is carbon monoxide. Carbon monoxide is known for hurting or poisoning our brains. And all these chemicals are adding to the global warming issue. According to Global Warming by Karen E. Bledsoe, “Coastal flooding is increasing…the greenhouse effect is causing the oceans to become warmer. As water becomes warmer, it expands.” Carbon dioxide is one of the gases that create the greenhouse effect. It traps the heating, causing the Earth and its waters to become warmer. If we don’t control our use of plastic and/or the use of other factory made products, our continents will soon be underwater. More than fifty percent of my classmates want to stay on Earth and help create a cure for the planet we love, but if we don’t, our species will either be forced to go instinct or to habituate on places such as Mars or the moon. All this is because of the production of materials that we can live without, such as plastic. My solution is to ban plastic bags from places such as grocery stores and malls. The plastic bag ban is already taking place in Los Angeles, and if the second largest metropolitan city in the U.S. has cut down on plastic bags, then it will surely influence other places, in America and around the world. Soon enough, we could ban plastic bags from all stores and shops on Earth, and it would make a huge difference in the world. Of course, everything has its pro’s and con’s. In this case, the plastic bag ban will probably put plastic factory owners, workers, and producers in a state of bankruptcy, but I believe that it is okay because it is for a greater cause. The ban will allow them to live on Earth, survive and thrive. The plastic bag ban will create a much safer environment for humans, marine life, and animal life. As you know, the Great Plastic Garbage Patch is nearly two times the size of Texas and is in the middle of the Pacific Ocean. And it is not the only garbage patch around. There is also one next to Japan that is continuing to pollute our waters. Plastic litter is dangerous and harmful to whales, otters, seals, fish, turtles, dolphins and other sea life in the ocean because 1) it takes a really long time to biodegrade on land, and 2)since it is in the ocean, it will not biodegrade and become fossil fuel at all! Some marine life, like turtles, eats jellyfish, which looks very similar to plastic. Many turtles have mistakenly eaten plastic, which lines their stomachs, not allowing nutrients and proteins to go in. So no matter how much the turtles will eat, they will always stay hungry, and grow weaker and weaker, and then unfortunately die. Fish may swim into a transparent plastic bag and not be able to get out because they can’t swim backwards. The solution is simple. Find or create a plastic eating fungus or bacteria. According to CNN, MNN, and nature.com, we have actually found a species of bacteria that eats plastic. The good side is, this could put an end to the plastic waste in the ocean and on land. But, these bacteria might also be quite “evil”. They could either be helping or just going up the food system. They might eat more than just plastic. They could also be a chance that they eat metals, dirt, houses etc. Letting them do our job of cleaning up the plastic is a huge risk, so I believe they should first be watched over with care in laboratories. But if they prove to be safe, then e let them out into the ocean, and we would be on our way to a cleaner, greener planet! Out of the two solutions that I have put forth, I believe they both will help a lot if we put them into action worldwide. My second solution could be a bit risky, but I think we should go for it. Everything comes with a price, even my first solution. The plastic bag ban will hurt the economy, but it is completely worth it. We will all be able to stay on planet Earth, the one that we love so much. It has helped us survive till now, so we must pay it back and let Earth live even longer. Abandon plastic, help save the animals, clean up our trash in the ocean and we shall continue to thrive! 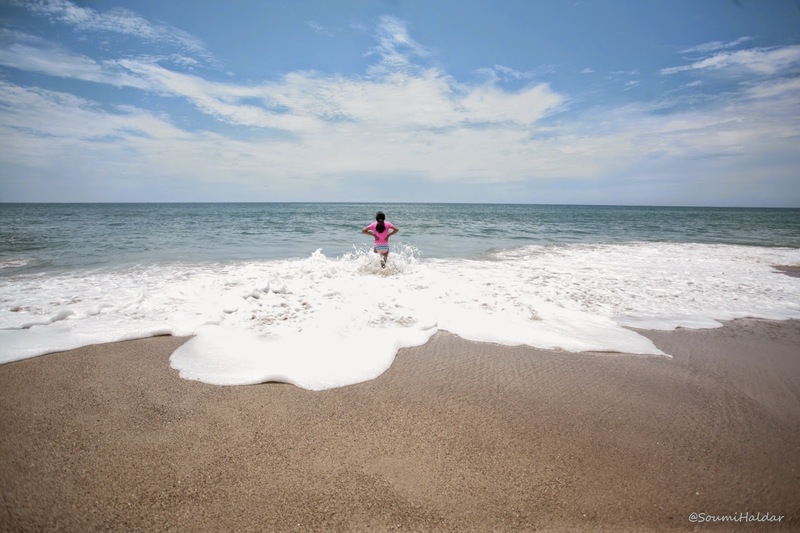 We kick off our exclusive kid’s week special for the Spring Break in many of the schools in US with this very thoughtful article on the menace created from the use of plastic. Please take a moment to read it, have your child read it or read it to them. The Majestic Plastic Bag video mentioned in the post is a must watch too. The post is authored by a 6th grader and the picture has been provided by a 4th grader.